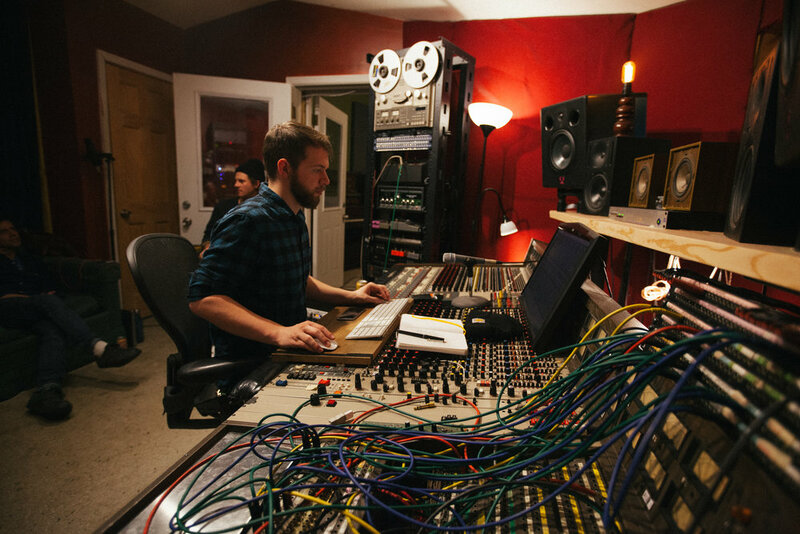 Brian McTear is a nationally respected record producer and musician, and is the owner of Philadelphia’s revered Miner Street Recordings in Fishtown. At Miner Street he has worked with countless local artists like Dr. Dog , Kurt Vile, and The War on Drugs, as well as national artists like Sharon Van Etten for whom he produced, engineered and mixed the seminal record "Epic" among other projects, and Joan Osborne for whom he mixed the Grammy Nominated 2011 record "Bring it on Home". McTear is a founder of Weathervane Music, the nonprofit arts and culture organization whose mission is to advance independent music and to promote collaboration and creative self-expression through recording music. Through Shaking Through, Weathervane’s documentary series that takes place at Miner Street, McTear has worked with Sufjan Stevens, Daniel Rossen of Grizzly Bear, Mikael Jorgensen of Wilco, Waxahatchee and countless other noteworthy artists. Brian is a has made music with his band Mariner Nine since 1991, and has released music under his own project Bitter bitter weeks since 2001. Matt Poirier has been working at Miner Street Recordings since 2014. He is a graduate of California University of Pennsylvania where he majored in Commercial Music Technology. Matt moved to Philadelphia from Pittsburgh PA, to work at Miner Street Recordings and volunteer for the non-profit Weathervane Music Community. In those early years, Matt's creative and technical skills accelerated exponentially, and he quickly began to attract clients of his own to Miner Street. Matt has engineered sessions with Nightlands, Clap Your Hands Say Yeah, Steady Hands, and has also engineered and mixed all episodes of Weathervane Music's Shaking Through since January 2016 (including Waxahatchee's "No Curse" and Big Thief's "Mother"). A graduate of the recording program Temple University, Matt is a singer and one of the primary songwriters for the band Three Man Cannon. They have released records on Lame-O Records, and toured the US and Europe numerous times. His superb taste finds its way both to his own records and to the projects Matt has produced, mixed and engineered for bands like Philadelphia's Cayetana, Lotus and countless recordings for Weathervane Music's Shaking Through series between 2013 and 2015. Amy Morrissey is a graduate of The Pennsylvania Academy of Fine Arts and The University of Pennsylvania. She first became a partner in Miner Street Recordings in 2003 as an engineer and studio manager, who wrote, recorded and performed her own music in the form of a great band called The Novenas. In 2005, Amy wired Miner Street Recordings in its new and improved Fishtown location, first custom building the studio's patchbay, and soon recapping and upgrading the electronics of our vintage MCI 440 console. In other lives she's built high-end tube pre-amps for the esteemed D.W. Fearn. Nick Fiorentino is a 2016 graduate of The University of the Arts in Philadelphia where he majored in Music Business, Entrepreneurship and Technology. Nick's skill for setting up and perfecting guitars has made him a major asset for the maintenance and management of Miner Street's guitar collection. It has also set the stage for Miner Street to offer Nick's services both to artists recording at the studio as well as to the public. Brendan Monahan is a Philadelphia based musician, recording engineer, mixer and producer. As the guitarist in Darla, he has played shows in support of Snarky Puppy, Bill Laurance, Corey Henry and the Funk Apostles, The Disco Biscuits, George Clinton and Parliament-Funkadelic, Ra Ra Riot and many others. 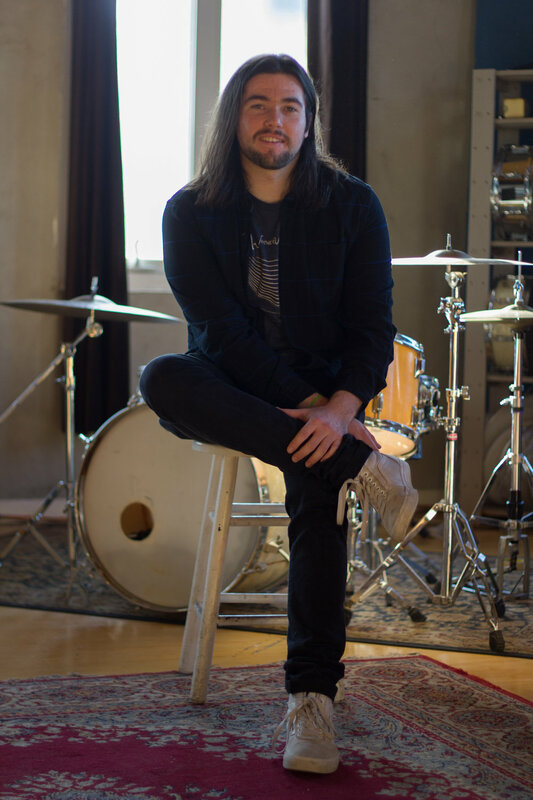 Brendan was graduated from Drexel University’s Music Industry Program in 2017. In the short time since, he has worked with a variety of different projects in the studio including Roosevelt Collier (Snarky Puppy’s Michael Leauge), I Think Like Midnight (members of The Dead Milkmen and Trollyvox), 40th Parallel, BADNEW, and has assisted on numerous episodes of Weathervane Music’s Shaking Through.